Have you got a loved one in custody who should be on bail? Being accused of a criminal offence of any type is very difficult and frightening experience for those charged and for their family and loved ones. Being in custody, bail refused, makes the process of the criminal justice system even more confronting and isolating than it already it. It also makes the task of getting the right result in Court more difficult. The moment you get arrested by the police, your right to liberty becomes heavily regulated by laws related to bail. Chances are you don’t know what those laws are or how they apply to you. Whether you are at the police station, or in a prison cell, the feeling of powerlessness can be overcoming unless you have a lawyer who intricately knows the bail laws to defend and assert your rights. If anyone in the family has been charged with any type of crime, and their liberty is at risk, get the best help from a Law Society Accredited Specialist bail lawyer in Sydney who will give you assistance and advice about your bail application as soon as possible. When charged with a criminal offence the first question will always be, “Will the police release me to attend court or will I be refused bail?” It is at this time advisable to seek a specialist bail lawyer in Sydney who is fully cognisant with the laws of bail, a special bail lawyer who is experienced in applying for bail, and who can best present your bail application. Whether you case is pending in the Local Court, the District Court or the Supreme Court, bail always remains an option, but you will need to be sure that you have a lawyer who can properly advice you about those options and who has vast experience in presenting bail applications. Bail laws are designed and drafted to guarantee and protect the presumption of innocence for anyone charged with a criminal offence and who is yet to be tried. This basic premise underlies the philosophy of a good bail lawyer. Of course the other attribute of a socialist bail lawyer is the ability and experience in applying for and obtaining bail for their client. The specialist bail lawyer gives the clients correct advice, making sure that the bail law as it applies to the client’s position and circumstances is clearly understood at the outset. The specialised bail lawyer has a thorough working knowledge of the jurisdiction and how to best prepare and present the bail application. The sooner you speak with an accredited specialist bail lawyer the better. Delaying a bail application by not having a bail lawyer, or getting the wrong advice from an inexperienced, non specialised novice who does not have expert bail law knowledge can be catastrophic for your case. The specialist bail lawyer will begin to get the ball rolling on bail the moment instructions are received to give advice about it. All contingencies will be covered and all options canvassed to ensure that the application is best approached, prepared and presented. Efficiency and diligence is crucial to ensure that liberty is restored with minimum delay. The specialist bail lawyer will focus on achieving release from custody above all else. The presumption of innocence demands nothing less. The best bail lawyer will always ensure that the conditions are though out with great clarity for the judge or magistrate hearing the application. The application will always bear in mind the concerns the court and the community will have to ensure protection of the community, the welfare of the alleged victim, and entrance the attendance at court of the accused. The specialist bail lawyer will craft conditions of bail around those factors. 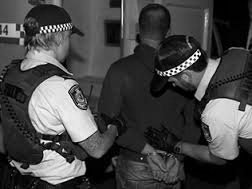 So if you or a loved one is in police or corrective services custody pending court, and you want to consider your bail entitlements, make sure you choose a specialist bail lawyer. This entry was posted in bail and tagged Bail entitlements, Bail lawyer Sydney. Bookmark the permalink.